The reality of life with small children is that the “sacrifice” of the Mass takes on a whole new meaning. You never get to sit quietly through an entire service, let alone have time for reflective prayer. It’s mostly a carousel of pulling books out of the diaper bag to keep the toddler quiet, bouncing the baby during the consecration, distracting the napless wonder for five more minutes so you can hear the Gospel or make it through the communion line. It’s worth it in the long run to go, you believe, but many Sundays you secretly wonder if you might have been better off staying home. Christmas Mass this year was exactly as described above. S was tired and squirmy; I missed most of the service trying to keep him quiet in the vestibule of the church. Epiphany was another case altogether, since our Sunday red-eye flight swallowed up the morning and I was too sick by the time we got home to muster up energy for evening Mass. Strike two. But the one Mass that S was (surprisingly!) angelic for was the Feast of the Holy Family. Maybe it was all the good familial vibes that brought the blessing of a calm and quiet little boy who stayed in the pew the whole time and contentedly flipped through missal after missal. Whatever the source of the grace, it’s the one church celebration I actually remember from this Christmastide. 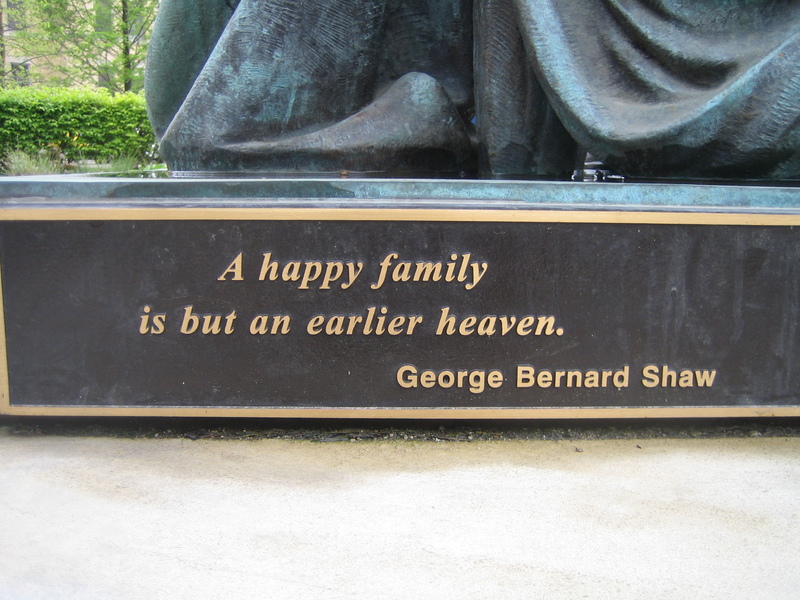 So in (belated) honor of the feast, here is a lovely celebration of family life from the place where our little family got its start not so long ago, it seems – our lady’s own university. I like their trinity of joy.